June 2018. 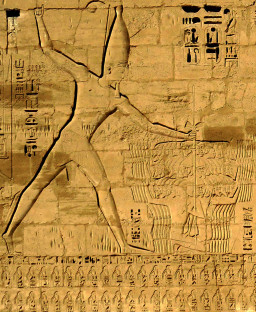 A major, in-depth, study by Peter, “The Levantine War-records of Ramesses III: Changing Attitudes, Past, Present and Future” has been published in the latest issue of Antiguo Oriente. For the abstract and full paper readable online see The Continuing Debate. As well as discussing historiographic issues, the paper concentrates on the lists of “Asiatic” place-names carved on Ramesses III’s mortuary temple, his battle reliefs and his claimed campaigns into Syro-Palestine. A “string” of towns (known only from his toponym lists) seems to describe a route through the Judaean Shephelah, which complements the archaeological evidence for a swathe of destructions in that region at the very beginning of the Iron Age. These include Lachish, one of the “fenced” cities of king Solomon’s successor Rehoboam – whose power was quashed by the Egyptian invader “Shishak”. A possible reference to Jerusalem can also be found in Ramesses III’s records. Hence the paper addresses a question we are often asked: does Shoshenq I of the 22nd Dynasty or Ramesses III (aka Sesi) of the 20th make a better candidate for the biblical Shishak? The paper concludes strongly in favour of the latter. January 2017. As the last Spanish translation of Centuries of Darkness (Critica 1993) has long been out of print, we are delighted to announce that a new edition is in preparation by the prestigious publisher Alianza Editorial (www.alianzaeditorial.es). Like the Greek edition (see April 2006 below) it will contain a new preface and other material updating the case for a CoD revision. June 2015. The Proceedings of the third colloquium of the BICANE group (“Bronze to Iron Age Chronology in the Near East”), held at Sidney Sussex College, Cambridge University (see below March 2011) have now been published by Archaeopress in the BAR International Series (Oxford). The major themes were the historicity of the biblical King Solomon and the identity of “king Shishak”, who engineered the downfall of Solomon’s empire and looted the treasures from the Temple in Jerusalem. 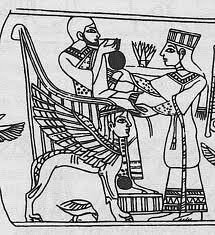 “Shishak” is usually identified with the Libyan pharaoh Shoshenq I (founder of the the 22nd Dynasty), and contributions both pro and contra this idea are included in the volume, from both Egyptological and Levantine perspectives. Further discussions are included on the archaeology of Solomon and his Temple and on the problems of the scientific dating methods of radiocarbon and dendrochronology. 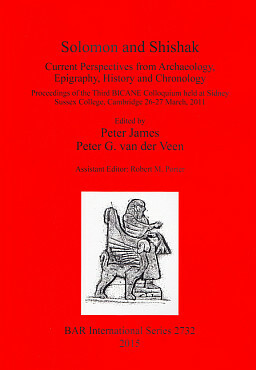 The published volume includes extra material by the participants: including an addendum by Troy Sagrillo to his paper (defending the conventional equation of Shishak and Shoshenq I); two short papers by Peter James and Peter van der Veen, one on the chronological placement of Shoshenq I, the second on the identity of “Zerah” who invaded Judah in the early 9th century BC; plus a substantial paper by Nikos Kokkinos on Shishak and Solomon in Josephus and Hellenistic chronographers. Fuller details on the book will be added to this website shortly. For full details (contents and introduction) see "Solomon and Shishak BICANE Colloquium 2011" [ 4M]. To purchase a copy see here. Heracles of Tyre on a pedestal from the Roman period (© Mission archéologique de Tyr – by courtesy of Pierre-Louis Gatier). July 2013. Update on the CoD Ancient Chronography Review. We have been working on a systematic analysis of ancient Greek and Graeco-Oriental chronography. A preliminary study by Nikos Kokkinos, “Second Thoughts on the Date and Identity of the Teacher of Righteousness” (2003 – see 2009 report below), pointed out the important fact that the date for the Fall of Jerusalem to the Babylonians was inflated up to 73 years by all Hellenistic Jewish chronographers – a major step towards understanding their position vis-à-vis Greek chronography. Publication then began to focus on ancient Greek chronography, first with the appearance of a detailed paper on the Fall of Sardis to the Persians (Kokkinos 2009a); which showed that this event should be dated as low as 542/1 (or 541/0) BC instead of 547/6 BC. (For summaries of this and other published studies see The Continuing Debate.) The same year saw a second paper, on Eratosthenes and the date of the Fall of Troy (Kokkinos 2009b), arguing that the ‘original’ date for Troy reckoned by the earliest Greek chronographers was c. 940 BC, not c. 1200 BC (or variants slightly higher and lower) as offered by later writers. 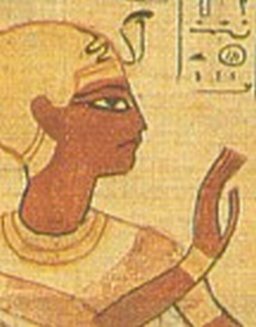 Significantly it exposed the fact that the Greek ‘high’ estimate influenced the Hellenised Egyptian writer Manetho in drawing up his chronology for Egypt. When Egyptian dates (based partly on Manetho) were used by 19th-century scholars to date Aegean prehistory, a perfectly circular argument was formed in the claim that the Greek ‘traditional’ dates matched the archaeological (see below April 2010 report). A third paper on the chronography of Eusebius and the early Christian Church was published in 2010, paving the ground for a forthcoming analysis of the dating system of the Olympiads. A fourth paper, a note on the date of Philo of Byblus (Kokkinos 2012), the controversial Hellenised Phoenician writer, in turn announced a major fifth paper that has now been published on the question of the Tyrian Annals (see Kokkinos 2013). This long-awaited study establishes confidence in the validity of this archive and reconstructs the royal king-list from the 10th to the 6th century BC. It also reveals the source upon which the ‘low’ 10th-century date for the Fall of Troy was based. Since the Tyrian Annals, as now demonstrated, are to be treated as fragments of a genuine written tradition, they also provide independent confirmation of the existence of King Solomon and should help refine his dates. A sixth paper, a detailed study on the formidable subject of the chronography of Josephus, with particular respect to Solomon and ‘Shishak’, is forthcoming in the Proceedings of the BICANE 2011 colloquium. April 2013. Controversy continues regarding the contribution of radiocarbon and dendrochronology to Late Bronze to Iron Age chronology in the Mediterranean area. We have recently uploaded two papers to the website which critique the claims of Peter Kuniholm and Sturt Manning that these methods support a super-high chronology for the Aegean and ancient Near East – with respect to the eruption of Thera in the Late Bronze Age, but also regarding their attempted back-dating of Iron Age sites such as Gordion in Phrygia. “Tree-rings, Kings and Old World Archaeology and Environment” (2012) reviews a Festschrift for Peter Kuniholm (retired Director of the Aegean Dendrochronology Project) and illustrates how most of his claimed results for the Late Bronze and Iron Ages, including that for the eruption of Thera, have proven to be unreliable. “Radiocarbon and the Eruption of Thera...” is an Internet Paper (C) written specially for the website. This archives an unpublished letter submitted to Science journal by the CoD authors arguing that the radiocarbon results used to backdate the eruption of Thera to the late 17th century are unreliable – updated with discussion of some important new research on 14C and related matters. September 2012. 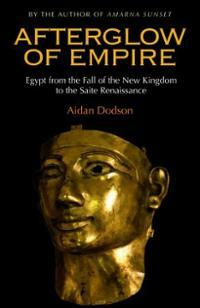 A valuable new book on the Egyptian Third Intermediate Period has been published by Aidan Dodson, entitled Afterglow of Empire: Egypt from the Fall of the New Kingdom to the Saite Renaissance (Cairo/New York: The American University in Cairo Press). Dodson, a Senior Research Fellow in Archaeology at Bristol and presently William K. and Marilyn M. Simpson Professor of Egyptology at the American University of Cairo (for the Spring semester 2013), is one of the few Egyptologists conversant with the problems of Third Intermediate Period chronology – the central issue highlighted by the Centuries of Darkness team in our book and many subsequent studies. Also Dodson (unlike most Egyptologists), is not shy of admitting in print that all is not well with the accepted version of Egyptian dating. He states (in the Preface, p. xi, emphasis added) that “it seems clear to me that the current view of strict orthodoxy concerning the absolute dating (i.e. in terms of years BC) of the New Kingdom and Third Intermediate Period is no longer viable, and that some degree of adjustment of dates – downward – is both necessary and desirable.” Aidan is also keenly aware of the growing dependence of the standard Egyptian chronology on synchronisms with Mesopotamia – but also that the latter’s dependence on the Assyrian King Lists is not entirely secure. Nevertheless, as he still adheres to the equation of Shoshenq I with Shishak, Dodson presently limits himself to a reduction in New Kingdom dates of some two to three decades. One step at a time... A critical review of Afterglow of Empire by Peter James is in preparation for the Palestine Exploration Quarterly. April 2012. At long last we are able to make available to read online a seminal paper by the authors, delivered at the Tufts University conference on Sardinian chronology in 1995 and published in proceedings in 1998. See James, Kokkinos & Thorpe, “Mediterranean Chronology in Crisis”, in The Continuing Debate. The paper reviewed a mass of new evidence in support of the Centuries of Darkness model, including anomalies in West Semitic palaeography and Palestinian stratigraphy, tensions between Levantine and Cypriot pottery chronologies, the length of the Egyptian Third Intermediate Period (with special focus on the 21st Dynasty) and problems in Central Mediterranean (Sicilian and Sardinian) chronology; it also gave detailed rebuttals to the claims that Aegean radiocarbon dates and Anatolian dendrochonology (respectively by Manning and Weninger, and Kuniholm) stand against our revised model. Detail of enthroned ‘Canaanite’ king, as depicted on one of the Megiddo ivories, (conventionally c. 1200 BC). March 2011. The third colloquium of the BICANE group (“Bronze to Iron Age Chronology in the Near East”) was held on the weekend of 26-27th March 2011 at Sidney Sussex College, Cambridge University. We aimed the meeting towards producing a collection of papers for publication and focussed on two highly controversial and related issues. One is the historicity and archaeological context of King Solomon, the other the dating of the 22nd-dynasty pharaoh Shoshenq, identified in the conventional chronology with the Egyptian “king Shishak” who, according to the Old Testament, engineered the fall of Solomon’s empire. The colloquium was entitled “Solomon and Shishak: Current Perspectives from Archaeology, Epigraphy, History and Chronology”. Papers were organised into three sessions: “Is the Biblical Shishak the Same as the Egyptian Pharaoh Shoshenq I?”; “The Glorious Reign of Solomon, Fact or Fiction?” and “The Egyptians and Jerusalem”. The invited papers reflected a wide range of viewpoints, and were delivered by scholars from the UK, Germany, Belgium, the Netherlands and Israel. The speakers were: John Bimson (Trinity College, Bristol): ”Shishak and Shoshenq”; Troy Sagrillo (Swansea University): “Shoshenq I and biblical Shishak: a defence of their traditional equation”; Shirley Ben-Dor Evian (Tel Aviv University): “Shoshenq I and the Levant – synchronizing chronologies”; Rupert Chapman (British Museum): “Samaria and Megiddo, Shishak and Solomon”; Peter van der Veen (Mainz University): “Solomon and Shoshenq I in the Light of Epigraphy: dating the Early Iron Age with the help of palaeography”; Aidan Dodson (Bristol University): “Shoshenq I: a conventional(ish) view”; Robert Morkot (Exeter University) and Peter James: “From Shoshenq V back to Shoshenq I: dead-reckoning the Start of the 22nd Dynasty”; Ad Thijs: “Dating Shoshenq I: an alternative view”; Jonathan Tubb (British Museum): “Omri and Ahab and the Literary Invention of the United Monarchy”; Wolfgang Zwickel (Mainz University): “Solomon’s Cultic Implements and the Historicity of Solomon’s Kingdom”; Uwe Zerbst (Magdeburg University): “Iron Age Chronology: does radiocarbon provide the answer?”; Robert Porter: “Recent Problems with Iron Age Dendrochronology”; Peter van der Veen (University of Mainz): “Fresh Light on Egyptian Finds from Jerusalem – some preliminary conclusions”; Peter James: “The Rulers of Jerusalem at the Late Bronze to Iron Age Transition – forerunners of David and Solomon?”; Simone Burger Robin: “Analysis, Interpretation and Dating of a Problematic Egyptian Statuary Head Discovered in Jerusalem”; Dan’el Kahn (Haifa University): “The Campaign of Ramesses III Against Philistia”. The meeting exceeded our expectations, both in terms of the quality of the papers and the lively and good-humoured debate and we were also honoured by a visit from Professor Anthony Snodgrass. We have now found a publisher for the proceedings and work is in progress on their editing. Herihor, High Priest of Amun, wearing the royal uraeus. (From the Book of the Dead prepared for his queen Nodjmet, now in the British Museum). December 2010. CoD 21st Dynasty Review. This month saw the first-fruits of a long-term project by Peter James and Robert Morkot in reassessing the chronology of the Egyptian 21st Dynasty, with the publication of their article “Herihor’s Kingship and the High Priest of Amun Piankh” in the Journal of Egyptian History (for abstract and details see The Continuing Debate). Now some four years in progress, our review offers a radical approach to this particularly complex period of Egyptian history. While there are an extraordinary number of royal and priestly burials from this Dynasty there is a conspicuous lack of other archaeological remains, from Apis bulls and statuary to more mundane finds such as donation stelae, administrative documents and ostraca, and alleged “gaps” in genealogies (in the sense of “missing” generations) – as we have pointed out repeatedly. Many years ago Andrzej Niwinski posited a modest reduction of the 21st Dynasty by about a decade in his studies of its coffin styles. His attempt was rebuffed by Jürgen von Beckerath and Kenneth Kitchen on the grounds that shortening the 21st Dynasty conflicted with the known dates for the New Kingdom. (See A. Niwinski: “Problems in the Chronology and Genealogy of the XXIst Dynasty: New Proposals for their Interpretation”¸ Journal of the American Research Center in Egypt 16 (1979), 49-68; p. 61 for pers. comms. from von Beckerath and Kitchen). These, of course, are largely based on the Sothic theory, refined with lunar dates – readers of CoD will be aware of the fragile nature of such dating. Otherwise standard reconstructions of the 21st Dynasty are all based on the kinglist and regnal years given by the Hellenistic author Manetho. We eschew the use of Manetho, preferring to work from primary (contemporary) evidence only – the resulting picture for the 21st Dynasty is very different. While our article on Herihor offers only a 5-year reduction in its length, future articles will develop the model and show how much greater cuts in 21st-dynasty chronology are possible. December 2010. An article on 22nd-dynasty chronology has been published by Dutch researcher Ad Thijs – “The Lunar Eclipse of Takeloth II and the Chronology of the Libyan Period”, in Zeitschrift für Ägyptische Sprache und Altertumskunde 137 (2010), pp. 171-190. Ad’s earlier studies include a series of detailed articles which propose a welcome shortening of the 20th Dynasty by some 18 years (involving an overlap of Ramesses IX, X and XI). In his new paper he offers a model for the 22nd Dynasty along the lines set out in Centuries of Darkness (fully acknowledged) and in more recent publications (e.g. Morkot, The Black Pharaohs, esp. pp. 181 & 193) – with the conclusion that Shoshenq I ruled in the second half of the 9th century BC, rather than the 10th, and could not have been the biblical “Shishak”. While we would not agree with Ad’s arguments at every point (and are particularly cautious about the reliabilty of lunar dating at this stage of research), his paper is an invaluable contribution to the discussion, all the more welcome as it is published in such a well-respected Egyptological journal. First, in January, was Robert Porter's study "A Network of 22nd-26th Dynasty Genealogies", Journal of the American Research Centre in Egypt 4 (2008), pp.153-157. It proposes a shorter genealogy for the 22nd Dynasty and hence a significant reduction in its length, in step with that proposed in CoD. Further to Egyptian Third Intermediate Period chronology, February saw the appearance of a substantial and detailed study by Robert Morkot and Peter James, "Peftjauawybast, King of Nen-nesut: Genealogy, Art History, and the Chronology of Late Libyan Egypt", Antiguo Oriente 7 (2009), pp. 13-55. Focussing on the rather obscure king Peftjauawybast, the paper argues for a major compression of Late Libyan chronology, the elimination of Kenneth Kitchen's "Osorkon IV" and a new alignment of Shoshenq III-Pimay-Shoshenq V and Osorkon III-Takeloth III with the rulers of the 25th Nubian Dynasty. Egyptian rock relief from Timna in southern Palestine, depicting Ramesses III making offerings to the goddess Hathor. This article studies the chronology of the New Kingdom Egyptian copper mining in the southern Arabah valley, and particularly Timna, traditionally dated in the 13th-12th centuries BCE. A reassessment is made of the local archaeological evidence and especially of the findings of the Hejazi Qurayya pottery in archaeological assemblages of the southern Levant. It is argued that the chronology of the New Kingdom activities at Timna needs a revision towards lower dates. An experiment with the revised chronology of James et al. showed that the conflicting data is brought into a remarkable degree of harmony by that revision. This does not, of course, prove the correctness of that model, and it is not the only revision to have been proposed in recent years; on the other hand, less radical revisions would not resolve the chronological tensions to the same degree. March saw the publication of a review by Peter James of the first volume of the reports of the new Beth-Shean excavations, in the Palestine Exploration Quarterly 142 (2010), pp. 69-71. It highlights the chronological problems at the site and briefly suggesting how the CoD model could considerably reduce the period of time when the site was allegedly abandoned in late Iron Age times. 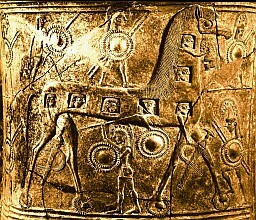 The earliest known depiction of the Trojan Horse: detail from the neck of a Cycladic relief-amphora found on Mykonos (conventional date ca. 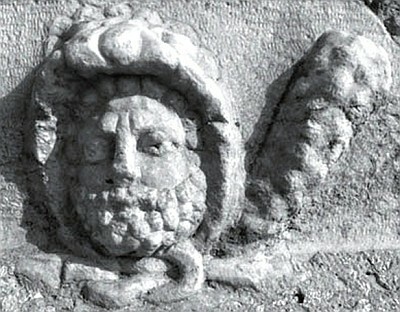 mid-7th century BC). In early April a long-awaited paper by Nikos Kokkinos was published: "Ancient Chronography, Eratosthenes and the Dating of the Fall of Troy", in Ancient West and East 8 (2009), pp. 37-56. It argues that the 'original' date for the Trojan War reckoned by the earliest Greek chronographers was c. 940 BC, not c. 1200 BC (or variants slightly higher and lower) as offered by later writers. The article includes an important Appendix (pp. 49-51) discussing how an ancient Greek 'high' estimate for the Trojan War (by Timaeus of Tauromenium) influenced the chronology of the Hellenised Egyptian writer Manetho in drawing up his chronology for Egypt. Manetho's dating system came to form the backbone of the modern reconstruction of Egyptian history and thence for Mycenaean pottery and the Late Bronze Age in the Aegean, including Troy. So, in marvellously circular fashion (and not by a 'happy coincidence'), an ancient Greek 'high' estimate was returned to Greece by Egyptologists (such as Flinders Petrie), helping to create the archaeological Dark Age in the Aegean. Future articles by Nikos, as part of the continuing CoD Ancient Chronography Review, will discuss further the 'low' chronology that was current in the ancient world, all too often overlooked by classicists. Very fittingly this volume of Ancient West and East is dedicated to Anthony Snodgrass, Laurence Professor (Emeritus) of Classical Archaeology at the University of Cambridge, on his 75th birthday. Anthony has always been one of the more 'neutral' and even-handed commentators on CoD, with the two reviews that he wrote and with the help and personal encouragement he has given to the authors over the years. Another article in the volume is by Professor Nicolas Coldstream, who sadly passed away in March 2008. It is fair to say that he was uneased by the proposals in CoD, and quite dismayed when the excavator of Tell Abu Hawam (Jacqueline Balensi) agreed with us that the site was certainly no support for the conventional dates of Greek Middle Geometric pottery (see FAQ13. Still, gentleman scholar as he was, Nicolas kindly chaired a seminar on CoD at University College London in October 1991, and we will always remember him for a wistful remark made when the authors were discussing their revised date for Late Helladic IIIC pottery and the Trojan War. When he realised that our date was in the mid-10th century BC, Nicolas sighed and expressed joking regret: he was a great fan of opera, but even our lowering of the Trojan War by some 250 years would not have allowed Aeneas to meet Dido, Queen of Carthage, whose city was traditionally founded in 814 BC. Details and abstracts of the new papers by CoD authors will be found on The Continuing Debate page. We hope, in due course, to make them readable online. Feb 2010. 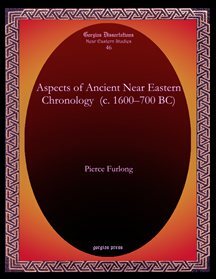 We are pleased to announce that Pierce Furlong’s doctoral thesis on ancient Near Eastern chronology (see October 2007 entry below) has now been published as a book by Gorgias Press: Aspects of Ancient Near Eastern Chronology (c. 1600–700 BC). The volume is a large format hardback. ISBN:978-1-60724-127-0 – for further details (contents, price etc) see Gorgias Press. From the cover: "There can be no more important topic in historical studies than chronology, for it is chronology which gives meaning to history by placing individuals, events and material remains within their true sequence. If this sequence does not match historical actuality, then the historical narrative drawn from the available evidence may appear confused, incomplete or even contradictory". 2009 onwards, CoD Ancient Chronography Review. In tandem with our review of Archaic Greek dating (see this page, below), we have been working on a systematic analysis of ancient Greek and Graeco-Oriental chronography. Nikos Kokkinos set out some initial ideas in his paper "Second Thoughts on the Date and Identity of the Teacher of Righteousness", Scripta Judaica Cracoviensia 2 (2003), 7-15, which partly dealt with Biblical chronology. Publication on Greek chronography has now begun, with the appearance of a major paper on the date of the Fall of Sardis to the Persians (see summary, Kokkinos 2009 in The Continuing Debate). A second paper, on Eratosthenes and the date of the Fall of Troy, is already in press and future studies will treat the Tyrian Annals, the Olympiads, the Eclipse of Thales, and the Athenian Archons List. 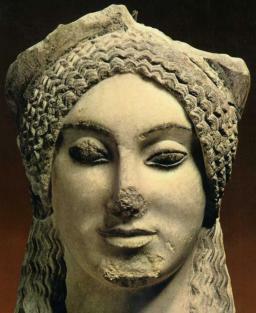 Implications for archaeological dating, in particular for Archaic Greek pottery, will also be addressed. March 2009. A fascinating article has been published by Dr Rupert Chapman (British Museum), entitled "Putting Shoshenq I in His Place" in the Palestine Exploration Quarterly 141:1 (2009), pp. 4-17. Chapman presents a fresh analysis of a question that has intrigued archaeologists since 1926, when a fragment of a victory-stela of Shoshenq I (founder of the Egyptian 22nd Dynasty) was found at the site of ancient Megiddo in Israel – it was found in the ‘dump’ from earlier excavations, but which stratum did it originally belong to? While reattributing such a find a century after it was discovered is fraught with difficulty, Chapman deduces that it was orginally set up in Stratum V, which by cross-dating with his work on the pottery of Samaria must have been a 9th-century BC level. He concludes: “On the basis of the purely stratigraphic argument set out above, it becomes clear that Sheshonq I and his expedition should also be dated to the 9th century BC.” Chapman’s paper is the first study (outside Centuries of Darkness) to argue from archaeological grounds that the conventional dating of Shoshenq I to the late 10th century BC is incorrect (see FAQ # 6 and #7). June 2008. A highly successful colloquium, involving some 20 scholars was held in Cambridge to discuss the problems of ancient Near Eastern chronology raised by Centuries of Darkness. Scholars participated from the UK, Germany, the Netherlands, Australia and the USA in a highly enjoyable and packed weekend of papers, discussion and brainstorming. The colloquium was a private, informal one, but because of its success it was decided to initiate a more formal umbrella term, with the acronym BICANE = “Bronze to Iron Age Chronology in the Near East”. The first aim of the group (begun at an earlier colloquium in Berlin in December 2006) is to publish a collection of essays on the questions of Bronze to Iron Age chronology in the Near East and Eastern Mediterranean world. The editors and conveners of BICANE are Dr John Bimson, Peter James, Dr Robert Morkot, Dr Peter van der Veen and Dr Uwe Zerbst. The chronology of the Late Bronze and Early Iron Age Near East is currently a topic of intense scholarly debate. The conventional/orthodox chronology for this period has been assembled over the past one-two centuries using information from King-lists, royal annals and administrative documents, primarily those from the Great Kingdoms of Egypt, Assyria and Babylonia. This major enterprise has resulted in what can best be described as an extremely complex but little understood jigsaw puzzle composed of a multiplicity of loosely connected data. I argue in my thesis that this conventional chronology is fundamentally wrong, and that Egyptian New Kingdom (Memphite) dates should be lowered by 200 years to match historical actuality. This chronological adjustment is achieved in two stages: first, the removal of precisely 85 years of absolute Assyrian chronology from between the reigns of Shalmaneser II and Ashur-dan II; and second, the downward displacement of Egyptian Memphite dates relative to LBA Assyrian chronology by a further 115 years. Moreover, I rely upon Kuhnian epistemology to structure this alternate chronology so as to make it methodologically superior to the conventional chronology in terms of historical accuracy, precision, consistency and testability. April 2006. We initiated a new section on the website, "Internet Notes and Papers”. Here we will add a series of documents, sometimes work in progress, sometimes informal reports on recent developments in chronology, sometimes research tools. The first two concern the Aegean (the “dendrochronological” dating of the Ulu Burun shipwreck and the Francis and Vickers’ revision of Archaic chronology). See The Continuing Debate, Section 2, for these and further documents as they are added. April 2006. The long-awaited Greek translation of Centuries of Darkness has been published by Ekdoseis Aiolos of Athens. In a handsomely produced and weighty volume (526 pages), the original text (with minimal corrections) is augmented by preliminary material for Greek readers and an appendix (giving a translation of the FAQ from this website). For full details, publisher’s address, etc., see the entry in Publication Details. We are delighted that Centuries of Darkness will now be available to a wider audience in Greece. As readers of the English-language edition will know, two chapters are specifically devoted to Greece (with another on Cyprus), while one of the starting points in our argument was the great 19th-century debate over the dating of the Mycenaeans. The chronological riddles raised by the lengthy Greek ‘Dark Age’ resonate throughout the Mediterranean, and likewise the book – from the origins of the alphabet, through anomalous findspots of Greek pottery in the Levant to the date of the Trojan War and the unresolved ‘Homeric problem’ (on which we have much more to write). The volume is presently available in bookshops throughout Greece and there has already been interest in the national press (e.g. Pontiki, Art section, 1 June 2006). While the basic theory of CoD has long been mentioned in Greek academic publications, we now look forward to more detailed reviews, feedback and criticism from Aegean archaeologists. February 2005. Work has begun on the revision and expansion of the Centuries of Darkness website, one aim being to make more papers we have written readable online. See What's New on This Site for listings of changes and additions. 2003 onwards, CoD Archaic Review. The Centuries of Darkness model has followed the maxim of reconstructing chronology “from the known to the unknown”. Holding to that, we have concentrated much of our research over recent years towards re-examining the archaeological links at the more “known” end of the scale, working back from the time of the Persian Wars into the “Archaic Period” (c. 480-700 BC), to use Aegean terminology. Archaic Greek pottery, through its distinctive styles provides vital chronological benchmarks throughout the Mediterranean world, but the bases for its dating need thorough re-examination. In 2003 we began publishing the results of our research into Archaic pottery chronology in various journals, assessing the parameters suggested by both Greek history (Thucydides, Herodotus, etc.) and Near Eastern and North African, as well as Mediterranean archaeological findspots. Details of several articles, discussing key sites such as Naukratis, Old Smyrna, Cyrene, Tocra, Selinus, Ekron and Ashkelon, can be seen in The Continuing Debate. These argue for a lowering of Corinthian and East Greek pottery by some three to four decades at the horizon presently dated c. 600 BC. (Adjustments for earlier and later horizons will vary.) Further articles are forthcoming/in preparation which explore in detail the ramifications of the CoD Archaic model for both the Aegean and Levant. For more info on the Archaic debate, see Internet Notes and Papers B: “The Francis and Vickers’ Chronology: A Bibliography”, in The Continuing Debate. March 2000. Robert Morkot’s long-awaited study of the 25th Dynasty, The Black Pharaohs has now been published. To commemorate the launch of this beautifully produced volume, a party was held on 1st March, 2000 at the Museum Bookshop opposite the British Museum. 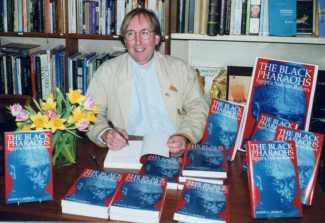 Robert Morkot at the book-signing of The Black Pharaohs, Museum Bookshop, London. The Black Pharaohs is the first in-depth study of the Nubian (Kushite) kings who established a powerful state in Sudan during the 9th century BC. They succeeded in conquering Egypt in the late 8th century, ruling it as the 25th Dynasty and acting as protectors of Palestine against the encroachment of the Assyrian Empire. Eventually Egypt fell to Assurbanipal in a series of campaigns between 667 and 663 BC and, with the help of local Libyan princes, the Nubians were rapidly expelled. The Nubian Dynasty is of interest not only for its cultural significance (as a link between Egypt and Africa further south) but also for its pivotal role in dating - as it provides us with our earliest fixed points in Egyptian history. In The Black Pharaohs Robert consolidates and refines the low 25th-dynasty chronology developed in CoD, laying a firm foundation for the reconstruction of Egypt’s "Third Intermediate Period". He pays particular attention to the chronological enigmas surrounding the origins of the Dynasty. These are inextricably tangled with the question of the "Dark Age" believed to have descended on Nubia between the removal of Egyptian control in the "12th" century and the rise of Napata in the 9th.